ComputerWorld's industry-acclaimed technology conference Define Tomorrow™ is returning to Bristol this year on 16th November at the @Bristol Science Centre. Leading this year's keynote presentation is VMware's Vice President and Chief Technology Officer, Joe Baguley. Joe is considered to be one of the UK's top 50 most influential IT leaders. His presentation will offer business leaders a unique insight into the future of enterprise technology. 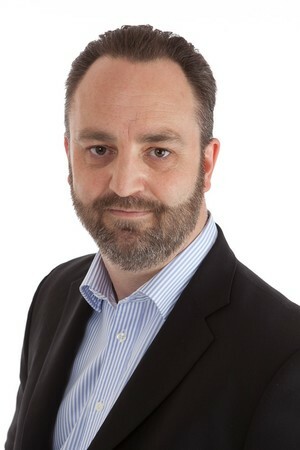 Barry Coombs, Director at ComputerWorld commented "We are absolutely thrilled to have secured Joe Baguley as the keynote speaker. I cannot understate his prominence within the industry and I am certain his unique insight will make this the best Define Tomorrow™ event ComputerWorld has held yet". The day-long event will condense the most exciting announcements and updates from VMworld 2016 and the industry into one jam-packed event full of presentations, demonstrations and specialised discussions. ComputerWorld expects this to be a sell-out event with space already limited, so interested delegates, please register now. To see our published Press Release in the Bristol Post: click here.